There are some really great photos of the upcoming 1/60 scale YF-19 by Arcadia. Despite the new sculpt and missile hardpoints on the wings, the interesting addition is the new swept back wing setup. 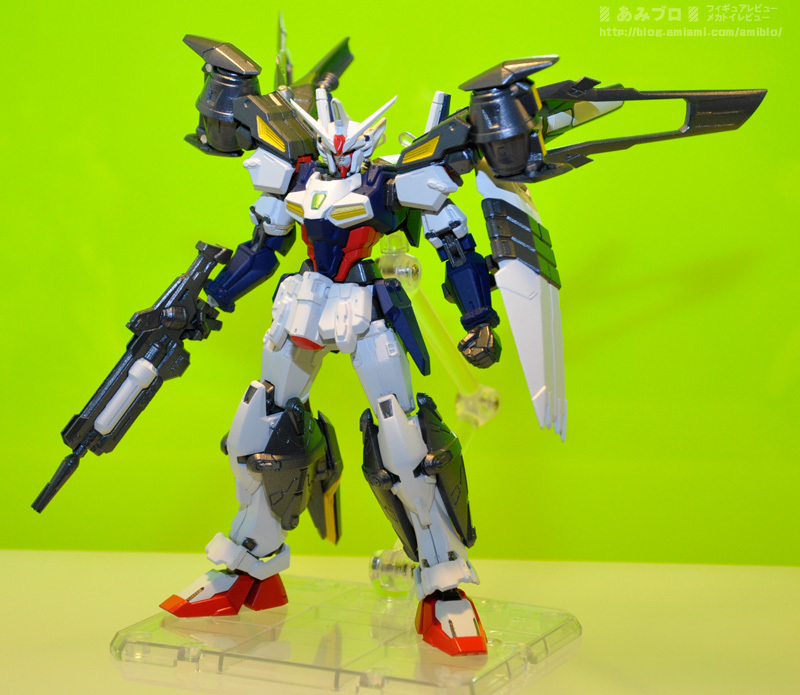 The gunpod looks a lot beefier and cooler too. 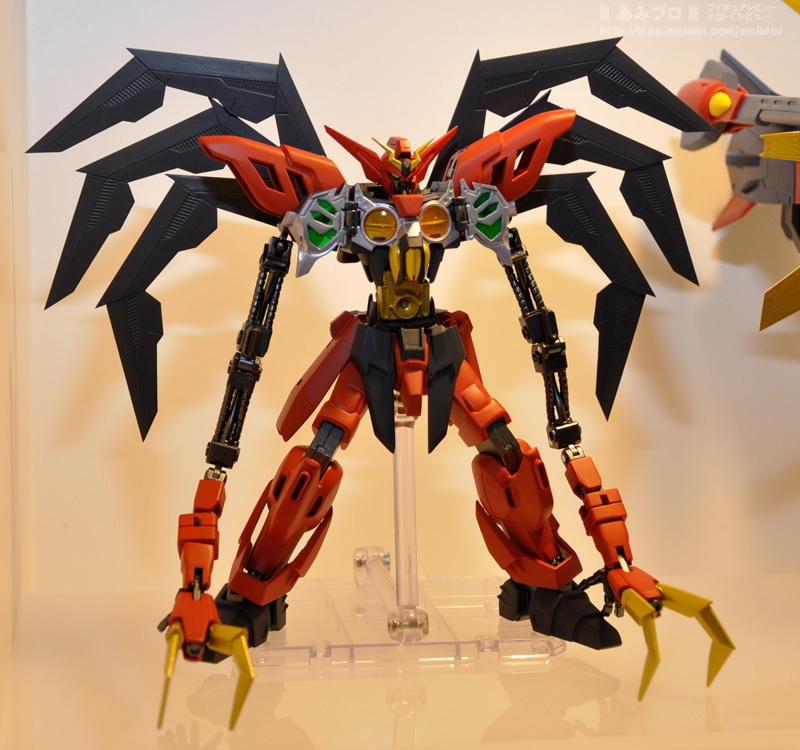 Whilst this will cost 32,800 yen come its release in April of next year, there’s a lot of new engineering here to make that price seem somewhat justifiable. 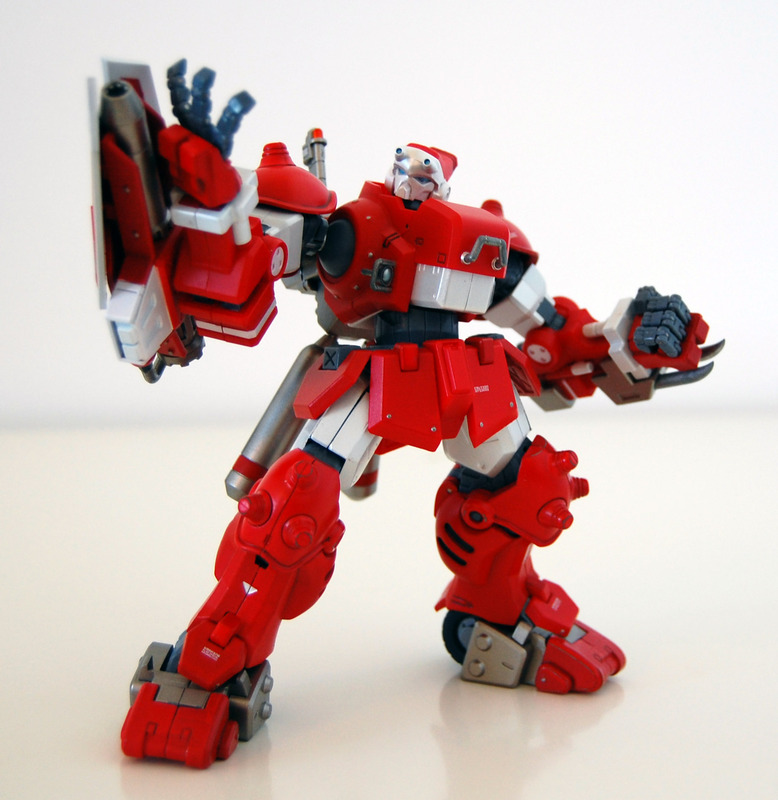 You can pre-order the toy here. 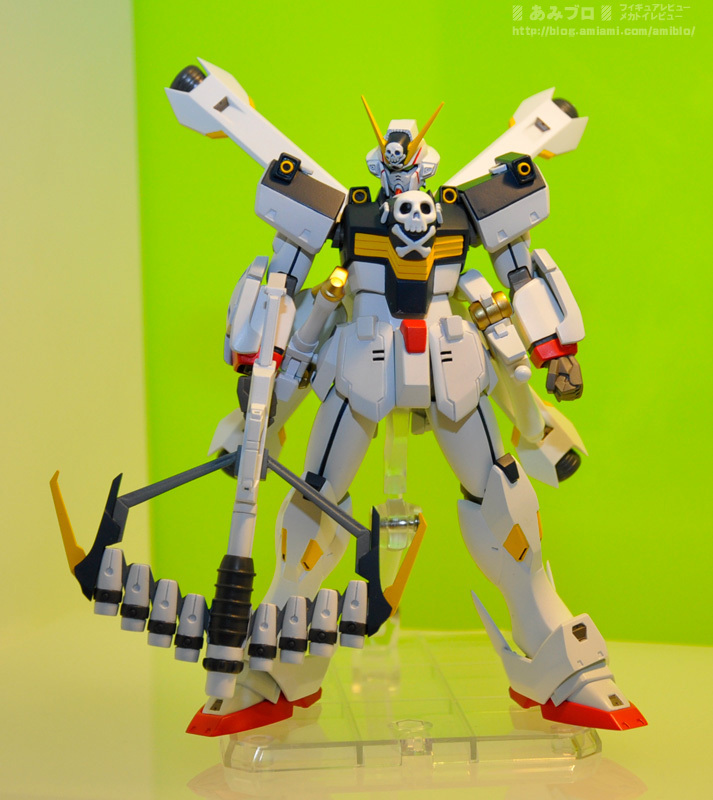 As we previously covered, Bandai are finally releasing a Robot Damashii Hi-Nu Gundam. 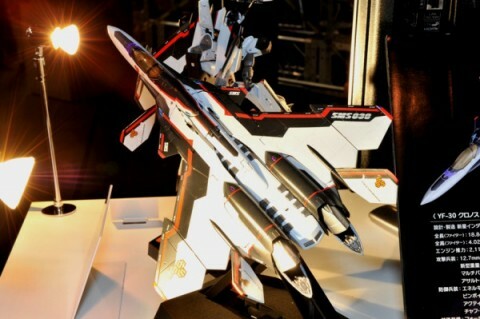 We now know that it will cost a very reasonable 5,775 yen and will be released in January of next year. The really good news though is that this will be a regular release and not a webshop exclusive. This toy won’t come with the Hyper Mega Bazooka Launcher though but apart from that omission it’s weapon compliment is pretty thorough. 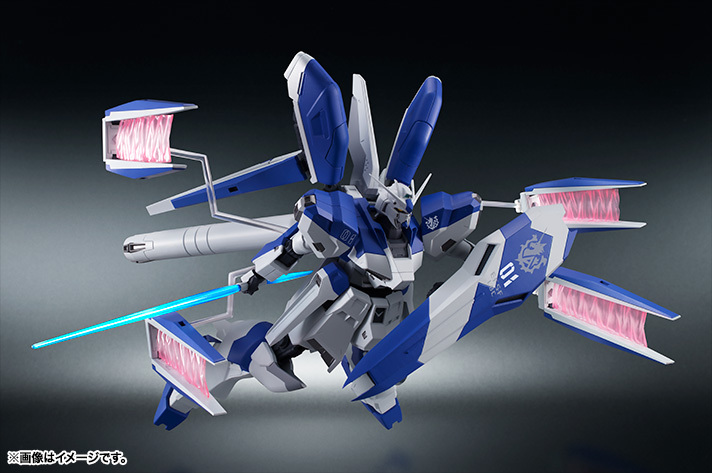 What with a veritable Layzner bonanza happening as of late, Wave have revealed that they’ll be releasing a garage kit of the formidable SPT-ZK-53U Zakarl. 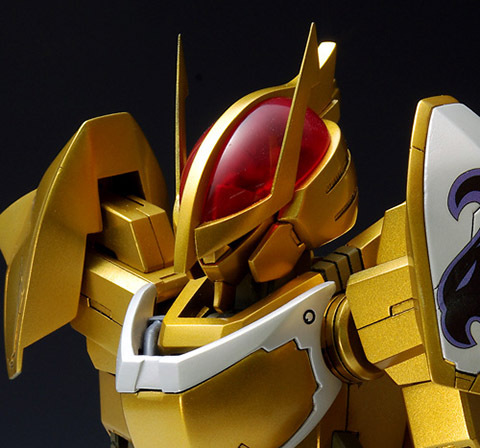 At 47,250 yen it won’t be cheap and pre-orders will start this December, for a release in February of next year. 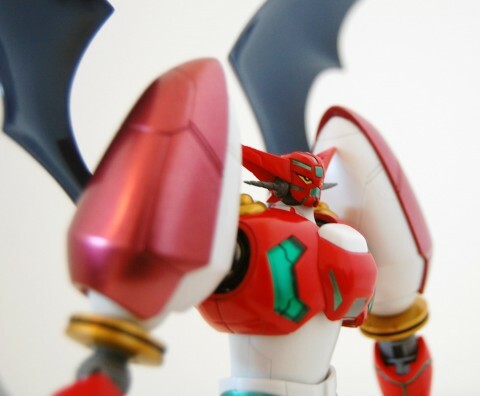 This is a separate release to Bandai’s teaser of another toy. We now know that the new 1/60 scale YF-19 by Arcadia will be released in April 2014 for the eye watering price of 32,800 yen. 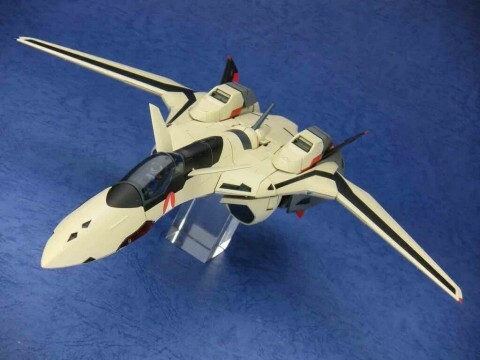 Admittedly this isn’t just a re-release of Yamato’s old 1/60 toy but all new and based off the engineering used in the Fire Valkyrie toy. 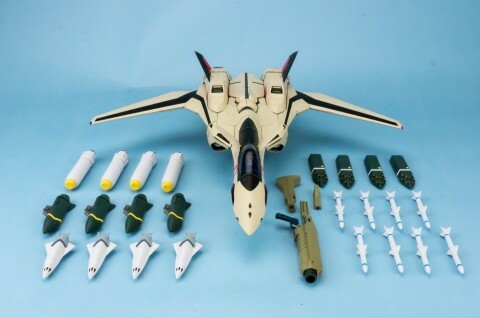 It also comes with a lot of extra missiles and the FAST packs seen towards the end of Macross Plus. Still, the price is a lot more than we were expecting. No wonder Yamato went bankrupt! The forthcoming BluRay boxset for the amazing Blue Comet SPT Layzner that we previously talked about has received two promo videos. These are of the respective openings for the TV series, comprising of the first and second season. These are both credit-less, though with a nicely placed advert for the boxset mid-video (and if you’ve seen the anime then that should make sense). However, what is worth noting is that the picture quality is astounding. 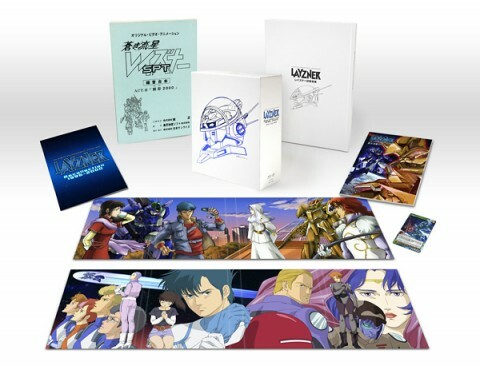 If the whole series is like this then we’re picking this boxset up regardless. Both promos are linked below and you can pre-order the boxset here. 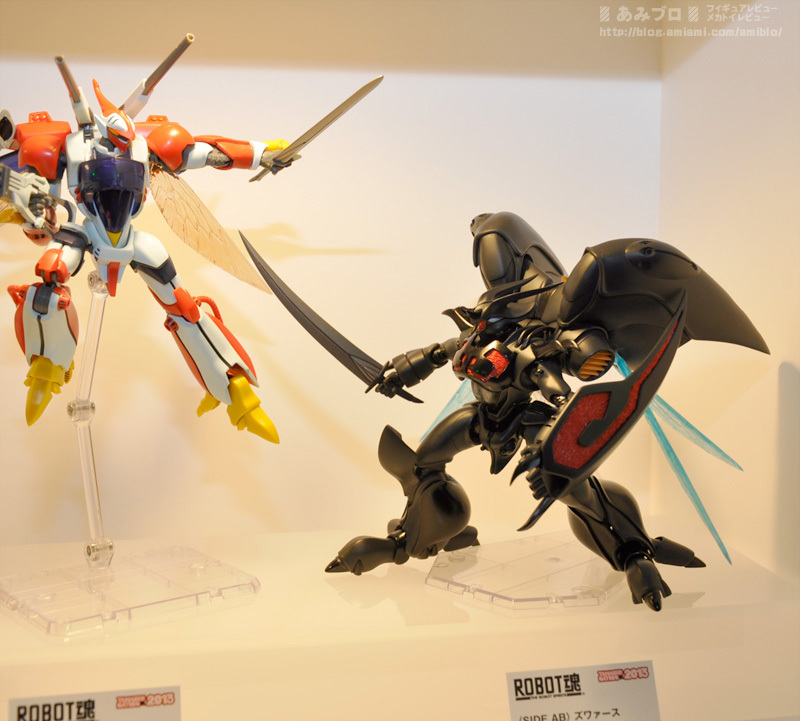 At a Tamashii Nations event in Hong Kong, Bandai have revealed all manner of new toys in their Robot Damashii line. 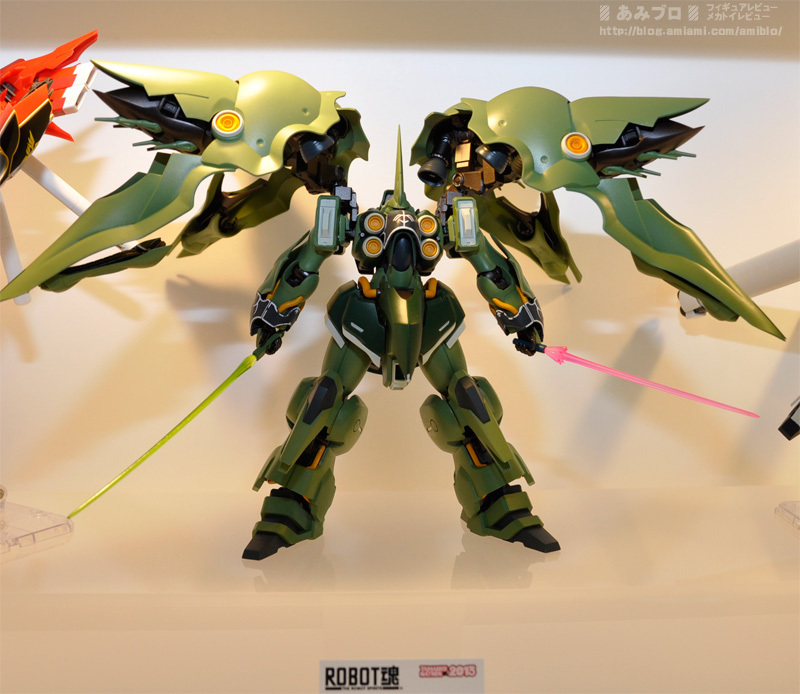 Notable of which are the NZ-666 Kshatriya and the majestic RX-93-ν2 Hi-Nu Gundam (pictured above). 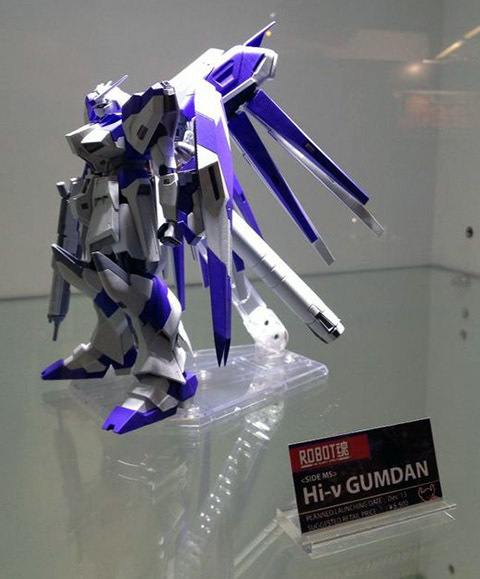 Whilst it is called a “GUMDAN” in various photos, that spelling mistake can’t dampen our palpable joy at knowing a Hi-Nu toy is on the way. Whilst there are no release details present, such as date and price, we are guessing that these two figures might end up as a web shop exclusive (though we’re hoping they won’t). Either way, today is a happy day as the Hi-Nu is probably our favourite Gundam design and as soon as we know more about these toys we’ll be sure to post it. 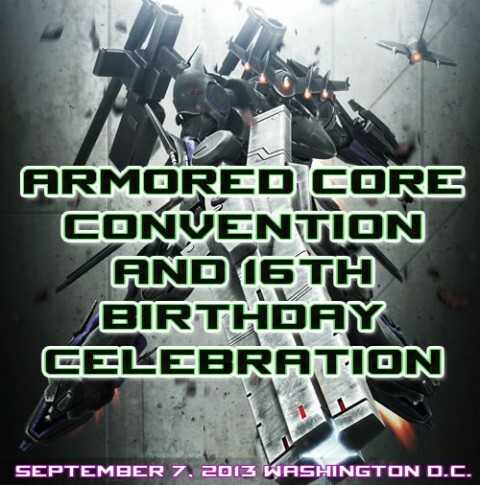 There will be an Armored Core Convention held on the 7th September in Washington DC. Apparently LAN games will be supported as well as the chance to win Armored Core figures (plus the opportunity to drink booze). The convention also marks the series’ 16th birthday, which is nice. More details will be forthcoming closer to the time but you can go to the Facebook page to show your support and interest. Talking of Armored Core, there’s a pretty interesting interview over at 4Gamer about Verdict Day.